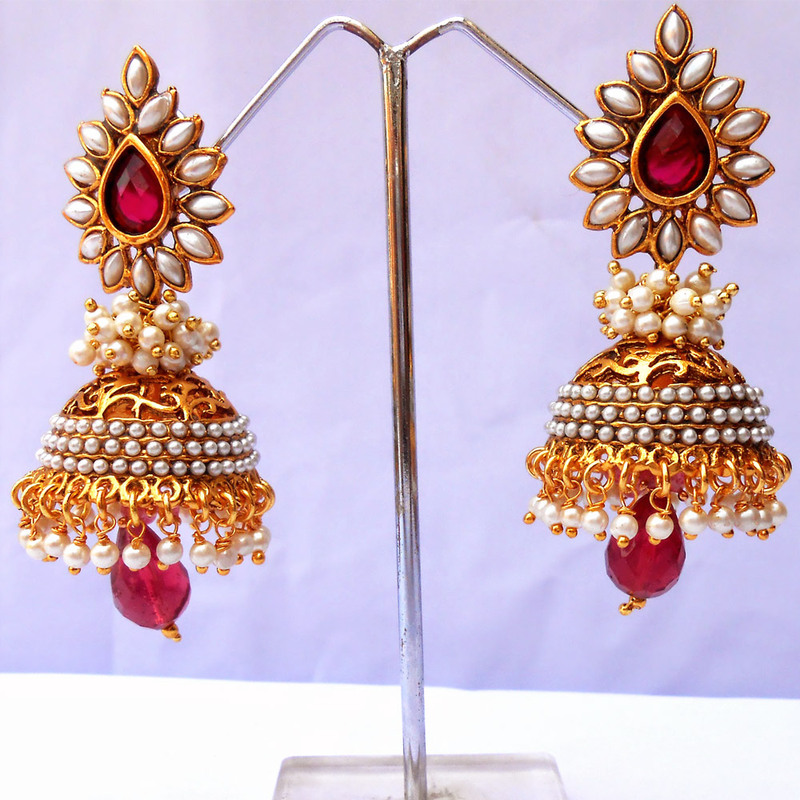 The large teardrop shaped red gem present at the center of the stub along with a row of similarly shaped pearls encircling it make for Read More..a startling design statement for this pair of exquisite jhumki earrings. In addition to the stub, the jhumki portion features a teardrop shaped red gem and large number of beads dangling from it along with rows of pearls studding it. The rows of beads present at the junction of the stub and jhumka segments adds to the beauty of the earrings, and guarantees to make for an enticing choice of jewelry for its wearers. Show Less..